You may or may not know, but our practice believes in dentistry that reveals the facts upfront. This is why we always inform our patients of the potential dangers of mercury in the mouth. Mercury is contained in amalgam fillings that many patients are currently sporting most likely due because they were not properly informed of beforehand. They were probably notified that amalgam fillings (also called silver fillings) were the cheapest option, triggering a purchase. We don’t offer these types of dental fillings to our patients, but we do remove amalgam fillings. Here’s why. For starters, amalgam fillings are typically made up of around 50% mercury. This is a considerable amount. The harm comes from the fact that mercury vapors are being released at a very slow, but constant rate inside of your mouth. 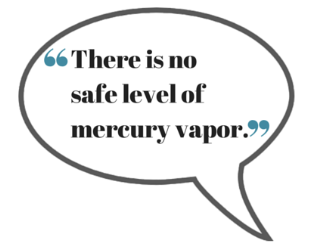 Mercury vapor is what patients should be aware of. All the way back in 1991, the World Health Organization released a statement which said that any level of mercury vapor is considered harmful. There is no safe level of mercury vapor. Our body can absorb vapors. When the mercury vapors are released, our lungs subsequently inhale them. Our nose also inhales a small portion of the mercury vapors. Over time, these vapors begin to take a toll on our body in a number of different ways. The list is too long to post here, but a brief summary of the harm can be found from various sources. 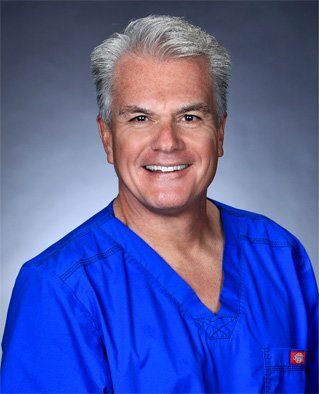 Some may claim we’re using “scare tactics” to get our point across, but as a holistic dentist in Newbury Park, it is my duty to inform patients that mercury is indeed dangerous. It’s not something made up, but rather is a topic that has been extensively studied on – with peer reviewed scientific facts that all point to the same conclusion: mercury is dangerous. The FDA may tell you otherwise, stating that mercury vapor levels are too low to be considered dangerous – ignorant of the facts that have been found both domestically and abroad. Educate Yourself. Stay Informed. Be Smart. This entry was posted in BioDental Healing, Holistic Dentist Newbury Park and tagged amalgam filling removal, FDA, mercury amalgam facts. Bookmark the permalink.